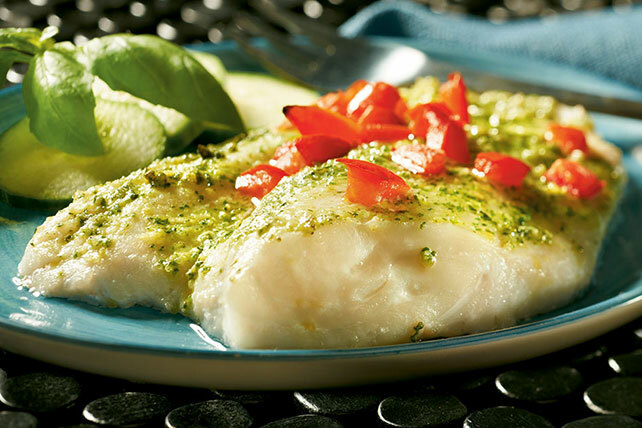 Discover this haddock recipe made with MIRACLE WHIP, pesto & chopped tomatoes! This Creamy Pesto Haddock Recipe will please four lucky diners. Prepare using frozen halibut or cod fillets. Serve with a mixed green salad or cucumber salad.